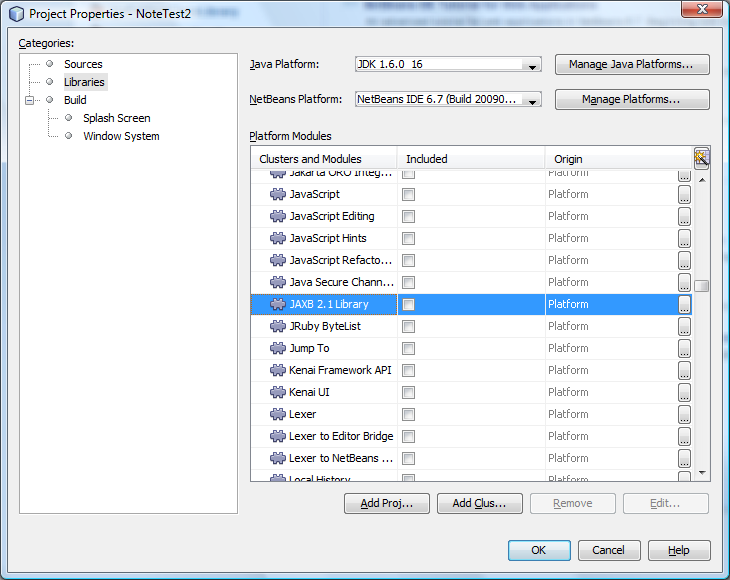 Are you getting a ClassCastException in a Netbeans Platform Application, when you are you sure that the class can be casted? Then check http://wiki.netbeans.org/PlainView.jsp?page=DevFaqModuleCCE. This is most likely the result of the the classes being loaded by different classloaders. So JAXBContextImpl cannot be cast to JAXBContext because that JAXBContext is from Classloader “A” and JAXBContextImplcan only be cast to JAXBContextfrom Classloader “B”. So this could happen for example if you have both woodstox in a Netbeans Library Wrapper module and you make you application dependent on ide11 ⇒ JAXB 2.1 Library . In my case I was able to solve by just removing JAXB 2.1 Library from the application.